PORTLAND, OREGON— An American businessman is hoping to add pulverized crickets to the American diet. 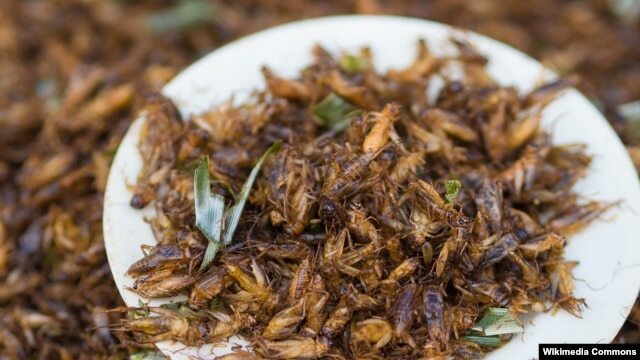 Americans are generally squeamish about eating bugs even though insects are a normal part of the diet for at least 2 billion people worldwide, with delicacies like fried caterpillars in Tanzania, chili-toasted grasshoppers in Mexico or crunchy giant water bugs in Thailand. Charles Wilson, the founder and CEO of Cricket Flours– that’s flour as in the white, powdery foodstuff – became interested in crickets as a protein supplement after learning he had food sensitivities to dairy, gluten and a variety of other ingredients, including a protein powder he was using to build muscle.